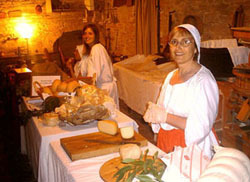 Malatestian’s is a typical spring cheese, matured for three months and then fermented in wheat in the mill of Porta di Sotto in Mondaino from August to November. 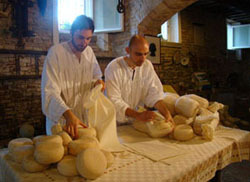 The technique of covering it with a few quintal of wheat, practiced only in Mondaino, incorporates an ancient malatestian tradition. It was probably also used to hide the stocks of chees under a thick blanket of beans. 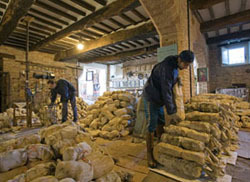 Sprouting in warm temperatures and the right humidity, the wheat improves the fermentation of cheese, embellished with additional features food and imposing them to the attention of gourmets and nutritionists. Today we have a niche product, unique in Italy thank by the ancient craftsmanship. Many important experts consider this special slow food like an optimal food for a good nutrition.